If you’ve decided to go brave, take the plunge and become self-employed, then the next step is to identify new business opportunities that are open in your industry – one that you can build and model your business. With the right entrepreneur mindset it is not difficult to spot new business opportunities, especially in today’s world of technology and the internet changing our lives in revolutionary ways like never before. Here are some techniques that you can use to spot new business opportunities quickly and then respond to them. Indeed, this isn’t just for start-up businesses, the techniques discussed below can also be used to revamp or remodel your current business, helping you keep up to date and refresh your products or services. The first and probably most important trait of a successful entrepreneur is to keep a close eye on the market. Constantly observing the markets, analyzing new trends, and exploiting new opportunities as they hit the scene. By closely monitoring the changing markets and responding to change whenever it occurs by tweaking your original business idea, you will be able to identify exactly what the new industry or marketing you are entering is looking for. This means that to identify a successful business idea, you need to ensure you are ready and responsive to change; don’t wait for others to react. Whenever you see a new trend – pinpoint what people are looking for and how you can adapt your business or idea to fit this new model and satisfy demand. This sometimes means you are one of the first to take the leap into a new market or trend, but if you’ve done your homework and researched it’s longevity thoroughly, you can easily profit from your new opportunity. Another tried and tested way to identify new business opportunities is to identify a problem and then come up with a solution. You can start with yourself: there is a particular product or service that you have had a problem with and you would like to have changed in a certain way. Thinking like this will introduce you to a whole lot of useful business ideas that you can use. While it’s great to have an original business idea it is not fundamental to the success of your business to go against the grain! You can establish your business like all the other successful businesses out there – just build on it by identifying a problem that exists in that current market and create a product or a service that addresses and solves the issue. 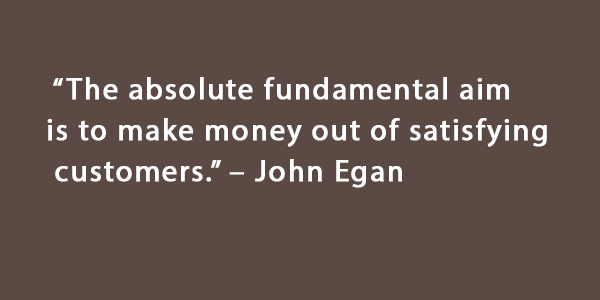 After all the existing businesses are successful because there is demand for the product or service!!! Think about making improvements, changing certain aspects of a product, speeding up services such as delivery or recurring subscriptions. 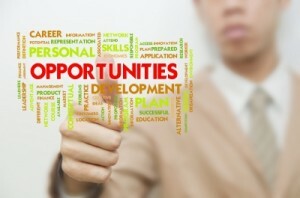 So here are a couple of ways you can get new ideas and find new business opportunities. The most important point that underlies the whole process is to be responsive to change to be able to react in a positive manner, turning your business model into a worthwhile and up-to-the-minute product or service. When it comes to blogging, WordPress is probably the most powerful and easy to use content management system that is available to create and maintain your business blog. WordPress’ excellence comes not only because it is free but also because of the large number of themes and plugins available out there which add greatly to the look and functionality of WordPress powered websites and blogs. There are literally hundreds of fantastic plugins – snippets of codes – that are available – a great number of them being free of cost – and can be downloaded from the WordPress website. These plugins have an extensive usefulness because they fill in the gaps of both styling and functionality in WordPress. The great thing about using plugins is you need very little knowledge of coding or web development to turn your business website or blog into anything from a superbly designed, functional website through to a supercharged e-commerce store! The current hot topic for every business owner when discussing their website is “SEO” – search engine optimization. Yoast lets you optimize your page titles, images, meta descriptions etc. very easily. Every small business that is running a WordPress powered website should install an SEO plugin, and ensure they are optimizing posts and articles from day one, helping increase their search engine visibility. Spam is everybody’s enemy. If you have enabled comments on your blog there is every possibility you will be getting hundreds of spam comments. Akismet provides a simple and easy solution to filter out all those unwanted spam comments. WordPress falls behind on its functionality to create and manage forms easily. Although it is paid, the Gravity Forms plugin enables you to start creating forms instantly from scratch, it is well worth the price. Gravity Forms lets you create great-looking forms in a matter of seconds after which you which you can start emailing your customers, and collecting their details. NextGen Gallery Plugin is the most popular gallery plugin, according to WordPress. It provides a powerful solution for uploading and managing galleries of images as well as single images. The plugin comes with a wide array of options for setting up and maintaining image galleries on your site easily. This plugin is one of high importance. You should be backing up your site on a regular basis, especially so if your site undergoes regular changes. In order to avoid losing your entire site unexpectedly it is important to have control over your backups. The BackupBuddy plugin lets you create a backup of your entire site – widgets, themes, plugins, files and databases. With the ShareBar Plugin you can easily integrate social media functionality into your content. It adds a vertical box to posts which contains links/buttons to different social media sites. It’s very easy to set up and it enhances your sites ‘share-ability’ factor for visitors. The Google Analytics plugin enables you to track incoming traffic and links your WordPress site easily. It provides a powerful solution for monitoring your site’s visitors and will give you statistics to assist you with targeting your audience. 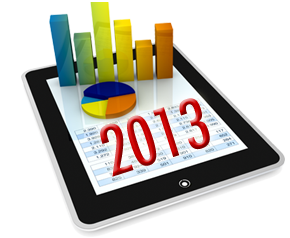 It also helps you find out popular pages, performance of your landing pages and conversions. These plugins will add great functionality to any WordPress site. There are thousands of other plugins that can assist you with setting up your website. Of course, some plugins are paid but when compared with the additional functionality they bring to your site they are definitley worth the cost. Do you think these plugins are useful for your blog? Do you know of any other useful plugins? Please share below. Business is all about taking risks and meeting challenges.If you’re working hard to start or grow your business, having a motivational quote that really resonates with your current workload or situation can help you get through those challenges.Here I have compiled a list of 25 famous business quotes to inspire you and help you get through that working day.Feel free to copy them to your desktop and set as wallpaper or print later and stick on your noticeboard. Enjoy! 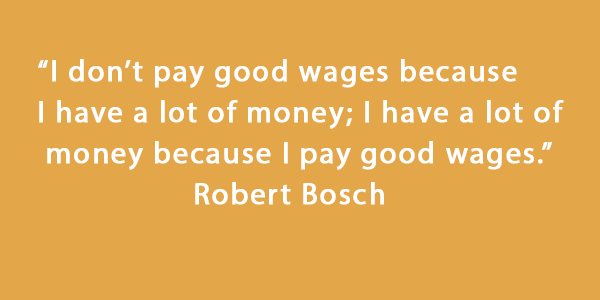 What are your favourite business quotes for inspiration? Please share below. A recent article published on Forbes.com by Lisa Arthur claims that online retail sales are growing at approximately 10 times the rate of brick and mortar. 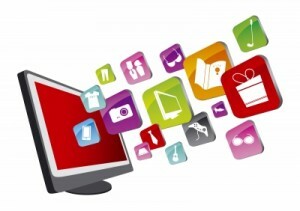 This has resulted in retailers flocking to get their online share of the retail industry. Like never before, people are opening shops online for all kind of items; food items, electronic and digital products, cleaning and washing items, clothing and footwear, auto parts, accessories and so on. So far so good; despite the growing number of people jumping at the online retail industry to grab their share what that needs to be debated is what is best for you in case you have decided to open a retail store: online or offline. To start off we will look at the cost of opening a retail storefront as compared to an online one. Generally it costs less to open an online store as compared to opening a brick mortar storefront. You don’t have to pay any rent or utility bills for your store. You will not incur any costs decorating your store and buying signage etc. You need not hire additional staff as in the case of a physical staff. All you have to pay is for your domain name, website hosting and any other web related services. A retail store front can do better for luxury or high price items, for example; cars, jewelry, antiques etc where the buyer will physically want to see and feel the item before making the decision to purchase. For these items a retail front could appeal more to buyers and hence more profit can be generated on single item sales. With an online store you can have a more extensive selection of categories on your to sell, and can keep costs lower by passing on savings in overheads and other offline shop front expenses to your customers. The target market with a retail storefront can be quite limited, and can make marketing efforts more difficult outside your local area, while the opportunities for marketing an online store are vast. This is because in the case of a traditional brick and mortar store your marketing is only limited to your local area, and online, you can pretty much advertise anywhere in the world and reach new customers in the comfort of their own homes. With an online store, your horizons expand considerably. With the traditional store you are confined to the space that you have rented. You cannot change how your store looks every day. It is too costly to rebrand your store once it is done; but with an online store you can do that in minutes with the click of a mouse. However, one point to note here is that the customer loyalty with your offline store is stronger as compared to an offline one. These real life connections can be more beneficial to your business as opposed to email lists! Finally, the competition! With an online store you will be faced with huge competition for virtually any items that you want to sell because when you decide to sell some item(s) online probably there are a dozen companies out there selling the same and they are well established! On the other hand with an offline retail storefront you can carry out full research and due diligence and set up your business in a place where competition is lower and the footfall supports your requirements. With tablets and smartphones making their way into our lives very fast, consumer behavior is changing unpredictably. Whether it is a leap into online retailing or an extension of a physical store on the internet retailers must respond to the change! If you are planning your first store, take time to consider the pros and cons of online or offline commerce. Make sure you have mapped out the costs considerably and are sure you have taken into consideration the costs of opening before you go live! In case you have decided on setting up a brick and mortar store you will certainly want to keep expenses to the minimum. You can cut expenses by lowering your marketing budget and making use of all the free of cost resources available out there on the internet. As a brick and mortar shop you yourself are obviously not tied to other brick and mortar shops for basic necessities such as shop fittings. Shop around online and cut down those costs yourself, impress your customer afterwards with a grand storefront and with the right mix of tactics you might even need a line of barrier ropes to guide the masses. Stuck on what to blog about? Give your business blog a content makeover with these 10 simple business blog post ideas. We are all aware that content marketing is working for businesses now, and has become a really important part of your business website. But how can you keep creating content and thinking of new things to write about? 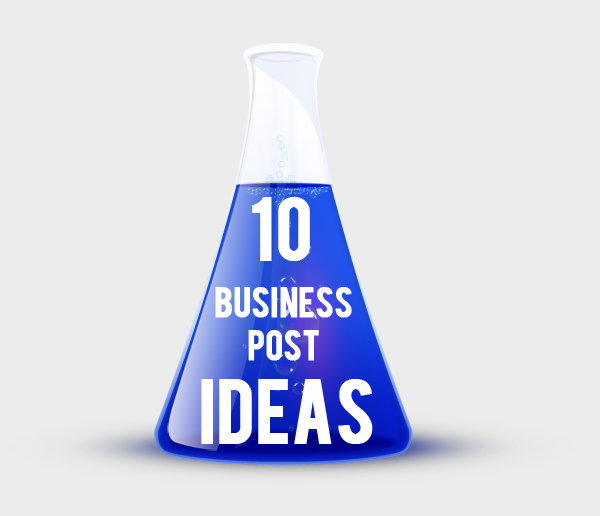 Here are 10 business blog post ideas to help you generate some new content. Ask questions about your audience. Encourage interaction and let your customers help define your future business blog posts! Find an industry or topic related book and write a review for everyone to discuss. 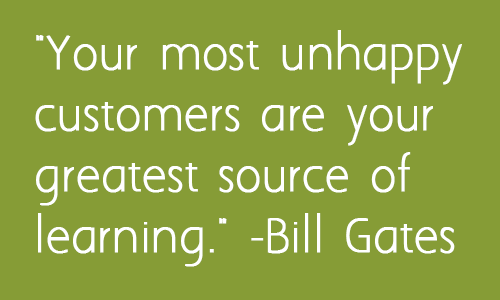 Talk about how things are evolving in your industry and how your company is tackling this. Let your audience in on future plans for your business and ask for their opinions and ideas. Create familiarity and encourage your customers to identify by mentioning or relating to a celebrity – how they do something, something they have (or haven’t done) or how they can teach something about your industry or topic. Mix up the posts and Use fun images together with some great new angles for it’s use. Relate your business blog post to current trending topics on the news and display your own angle. write an FAQ about your industry and share the knowledge!! Talk about your staff and their position in the company. 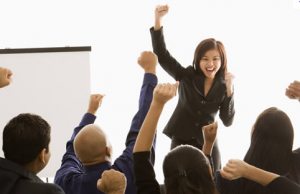 Tell your audience what they do and how they work hard to improve the business. Are you struggling to choose your business name? Here is my collection of the top 7 free business name generators to help you create a brand name to be proud of. 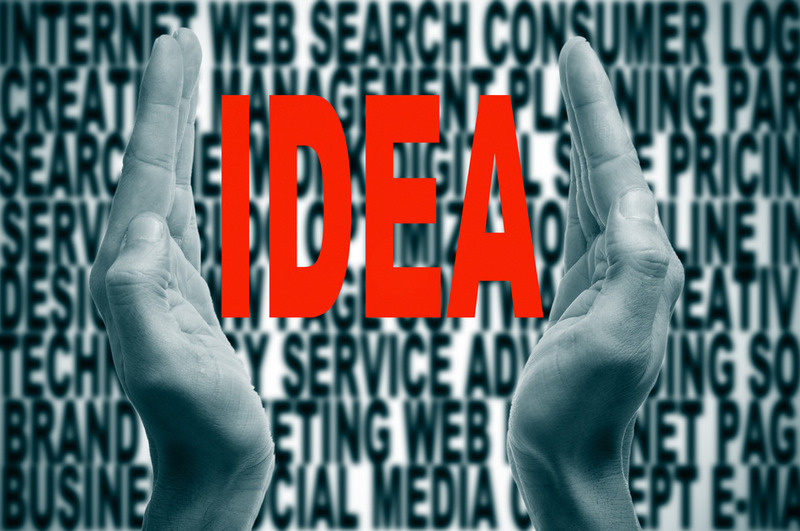 Domain Name Suggestions – This section highlights several variations on your core idea. International Domains – Sometimes a different top-level domain like .us or .co makes it easier to secure a desired name since .com is so competitive. Related Terms – In case you’re struggling to brainstorm, playing around with related words and phrases may generate fresh thoughts. Facebook & Twitter – See posts and comments related to your idea. Hopefully seeing word association from different people sparks a new idea. iTunes & Google Play – Check if your app name is already taken on the App Store or on Google Play. All in all it’s a great tool for brainstorming and generating your business name and will also help with checking for domain name availability too. All essential research for your new venture! Overall Dotomator is a great resource, and is a really great way of brainstorming new word ideas and custom word groups. Namestation is possibly one of my favourite free business name generators and it comes with some additional resources and features to help you create a highly desirable business name. Another awesome feature is the naming contests you can hold when you register for the site. Namestation has a large community of users, and you can hold your own business name contest, and get valuable feedback alongside new ideas for your company name. Its great that you can also control the number of syllables your name has too! There are also options for domain name endings so you can see how your business name will look as a website. Bust-A-Name is another great resource for generating free business domain name ideas. Primarily a domain name generator, it allows you to combine lists of words to generate new names and then helps you check the domain availability. It also has a new brand name generator tool feature. 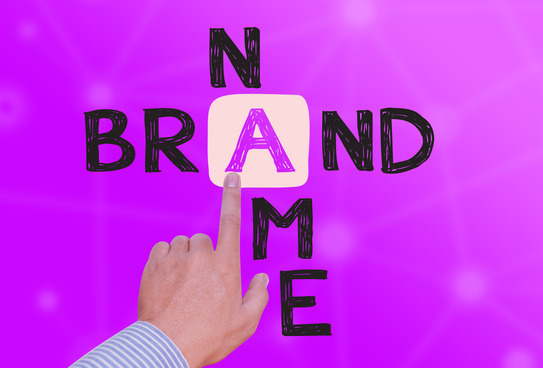 It’s a great tool if you already know how you want your business name to sound, or for sharp snappy brand name ideas to research further. So there you have it. My top 7 resources for free business name generators. What tools have you used? How did you name your business? lets discuss! Looking for thrifty business marketing ideas to promote your new products, services or new year offers? Here 10 super simple yet effective business marketing ideas to advertise your business without spending a fortune! Before you begin, even if you can’t afford something professional, you can set up your own website or blog if you don’t have one yet. Using a blog for business promotion is an ideal way of marketing your business and you can easily share content and helpful resources from your blog directly to social media channels such as Facebook, Twitter, LinkedIn and Pinterest. If you can’t afford to pay a professional for building your site just go for some of the free templates that are available on the internet( e.g WordPress.org). Your website should include all the information about your product/service and a clear way for customers to get in touch. Make sure your website has an opt-in page so visitors can subscribe to your newsletter. Email marketing lists are very valuable and provide a direct way of keeping in touch with your customers. Anyway, lets move on to 10 cheap business marketing ideas! Get your business website listed in search engines like Google ,Yahoo and Bing. Make sure that you include a description of your business on any online profiles or magazine / directory listings and also remember to include link to your website or blog. Make use of social media channels like Facebook, Twitter, and LinkedIn etc. Your profile should include a description of your business, contact details and the related keywords. Share your blog content regularly and encourage engagement. Facebook allows you to create a business page to promote your business. You can post updates about your business, customer experiences, interesting news and offers on your page to encourage interaction with your page. You can spruce up your advertising campaign even more by buying Facebook ads,but that means you will need to spend some money! Share videos of your products and services on YouTube and other video-sharing websites. Try to make them as informative as possible. Make a promotional video to introduce your business. Focus on the unique features and benefits of your product/services. Provide a link to your website or blog. If you don’t have a business card ready yet, get it ready now! A business card is essential for promoting your business. There are even smart phone apps which you can ‘collect business cards on!’ Make sure your card has your address and a description of your products and services printed on it. Hand your business card to anyone you know: family, friends, friends of friends etc. Leave some with local businesses which you think fit in with your business theme or whose customers would benefit from your products or services. Offer to do the same in return. Create an event that fits with your business. For example, if you are about to open a book-shop you can hold a book fare event that sells books at discounted rates. Here you can take the opportunity to spread the word about your business and also get new contacts. Don’t hesitate to give information about your business or your innovative idea. Be strong and proud. Tell people your unique selling points; show them how you add value, tell people why you are better than others. Make good use of coffee chats and meetings to briefly mention what your business does, and see if you can generate leads or follow ups. You never know who your coffee buddy knows! Write a summary about your business that best describes REAL consumer benefits and your UNIQUE offerings. Focus on what makes you stand out from the crowd. Send it to the local newspaper and other media outlets. Try to focus on generating a story, as this will help you get featured Try thinking about how the reader will benefit from the article, for example – ‘How your customer benefited from your product or service’ ‘How your business saved your customer lots of time and money’ Make sure you provide your address and contact information for follow ups. Network! Attend seminars and events – many local business events are free now. Grab the chance to speak at corporate meetings and tell about your business. Offer free help and advice to the local school, college or university. You can advertise your business easily and cheaply by following some or all of these steps. 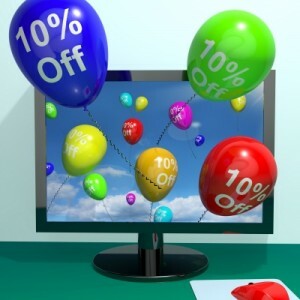 Use these low-cost business marketing ideas to promote your products/services. Contact relatives and friends. Arrange special events and reach people. Attend business seminars and meetings. There are so many cheap ways to promote your business – take time out from the marketing plan and choose one of these to get started on now! Do you have any more tried and tested cheap business marketing ideas? Please leave a comment below. Throwing your own event can be daunting, unless you work in event management! But for a lawyer, accountant, copywriter or baker it might seem out of reach. It’s actually easier thank you think with a bit of planning and help, and the benefits can be enormous. Here are a few ideas to get you started. If you are just starting out in your own business, then you may consider throwing a launch party. This won’t work for all business types, so really think this through and sound out a few friends first. But if you do decide to go ahead, a launch party can be a great way to kick-start the business. Invite, friends, family and past work colleagues if appropriate. Ask them to bring at least one other person along. Whether you cover the full cost or charge a small ticket fee doesn’t really matter. But pick a good venue such as a bar, café or local park and put on some food, drinks and entertainment whether that is a local band, MC or picture slide show. The two major benefits of this event: it gets the word out in a very tangible way about your new business, plus it also shows that you are serious and can help generate leads straight away. So you’ve been going for a year now, or five? Why not throw a Birthday Party for your business? This type of event follows all the same principles as the launch party above, but this time the focus is on the growth and success of the business rather than the start. You can mention any big wins over the lifespan of the business and thank key contacts that have helped you succeed. The two major benefits of this event: you can thank people who have really helped you along the way, plus you can get some momentum going in the business again if things have slowed down recently. This is when you win a major job. So again, it might not be relevant for all business types but if you win a major contract you could consider throwing a party similar to the ones already mention but the focus is on the project win. You can give free publicity to the client (if they agree to me named) and you can show others that you are doing so well as to win this contract. The two major benefits of this event: You can give free publicity to your client (if they agree) and you can show the world that you mean business! Start 2013 Positive and Ready For Success! 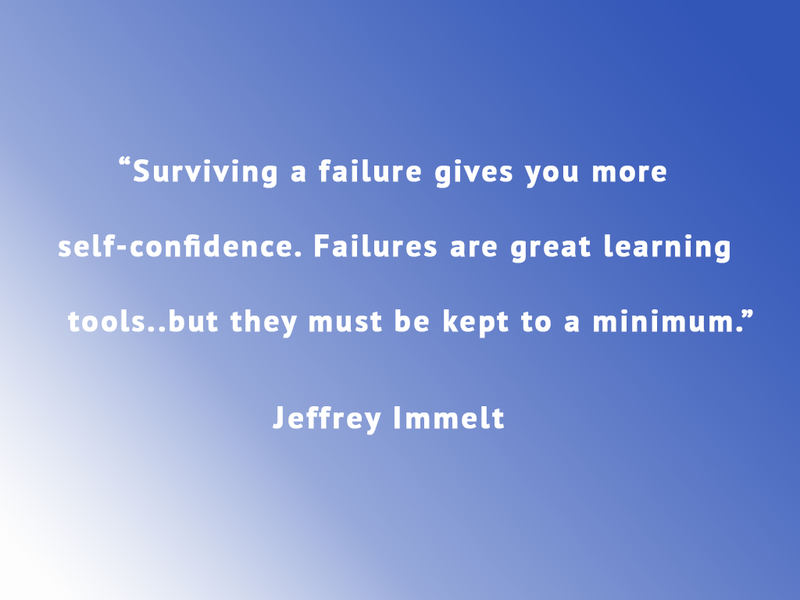 No matter what stage you are at with your business, start 2013 in positive circumstances and open to success. 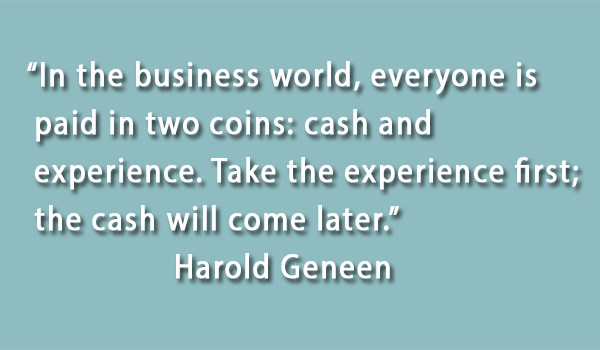 If you have been in business a while now, it is time to do some reflecting. 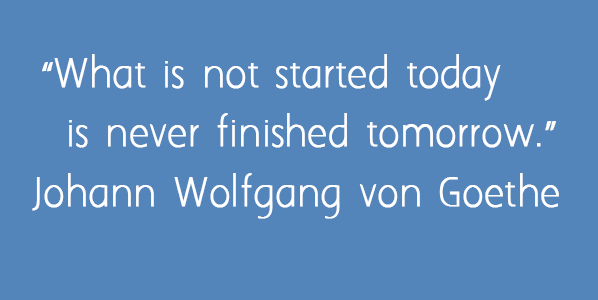 If you are just starting out, then get ready for all the wonderful challenges that lie ahead. Here are some tried and tested methods that work wonders to get you in the right frame of mind, and ready for success. This is meant literally. Wherever you work, clear out your desk and work space. It is just amazing how much clearer you can think when you de-clutter. Even if you are just starting out, make sure your desk is organised. If you have been going for a while you might already have a vision. Think about if it is still relevant. If you are a new business owner, then write down some ideas for a vision. Then set goals too. Creating a plan for the next 12 months can be incredibly motivating. Don’t worry if some goals seem too big. You have to start somewhere. Get in touch with contacts you haven’t seen for a while. See what they are up to and if there is any way you can help each other out. Register for some new networking events, and meet new people. Remember, networking is not about selling your business there and then to all you meet. It is about cultivating relationships, long term, and seeing how you can help others. You may or may not be expecting to grow this year. Even a very small, one person business can expect work flow to ebb and flow. Nothing is certain and life throws out funny things but as much as possible, try to plan for any growth, or busy times, as well as any predicted quiet times. Being prepared now means the year can be a smoother ride. A true A-class client is not necessarily the one that pays you the most money. A true A-class client is one that pays well, sure. But also one that you enjoy working with, and who are easy to deal with. 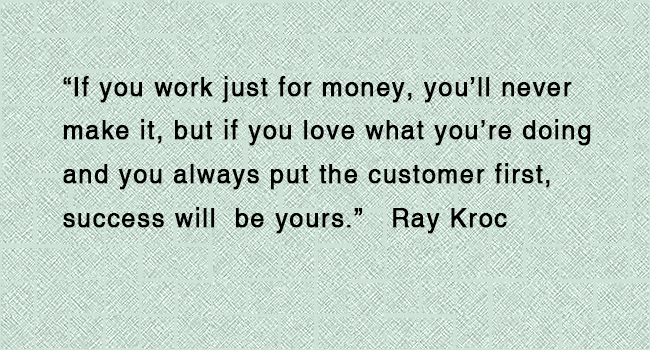 Then, once you identify the clients that make you happy, thank them. Send them a gift. Discount their next invoice. Refer them a client. Do something to show your appreciation. Next look at all your other clients and identify which ones you want to work with in 2013, and how you can get more of these A-class clients in the future. If you run your own business, you probably work long hours. When you are not ‘working’ you are probably thinking about work. If you enjoy what you do, it’s hard to switch off. And that is great, it’s great that you are so passionate. But taking time out for you is vital. Family and friends who support you want to see you happy. So try to carve out set work hours or designated work places around the house. Don’t neglect your personal life, after all running your own business should allow you to have the perfect balance.